As a followup to our look at the root causes of autoimmune illness, this post reviews several natural ways to protect yourself against autoimmune illness. In some cases, I've found that the steps outlined below can actually reverse some of the degenerative changes that can accompany various autoimmune illnesses. Think of your digestive tract as your first physical line of defense against autoimmune illness, or any degenerative illness for that matter. From your mouth to your rectal pouch, the lining of your digestive tract is continuous with the skin that covers your body. This technically makes your digestive tract lining similar to your outer skin in the sense that it acts as a barrier that protects your blood and inner tissues against undesirable substances in your environment. Once the lining of your digestive tract begins to break down, if your genetic programming allows for it, you will begin to experience the antigen-antibody complex formation that occurs whenever incompletely digested protein leaks through your damaged digestive tract into your blood. The same goes for exogenous toxins like synthetic chemicals found in cosmetic products. If you are suffering from an autoimmune condition, chances are good that your digestive tract is not as healthy as it can be, and that the effects of "leaky gut syndrome" and the formation of antigen-antibody complexes are contributing to your current symptoms. How can you know with reasonable certainty that your digestive tract lining is not as healthy as possible? Leaky gut syndrome is not recognized by conventional medicine as a health condition, most likely because there are no clear-cut drugs or surgical procedures that can justifiably be prescribed for it. The loss of lining integrity that we are talking about is microscopic, which doesn’t make it any less harmful than it is. So how do you go about restoring the health of your digestive tract? First, recognize that your body’s self healing mechanisms are already hard at work to repair any damage that exists within your body, including within your digestive tract. Just as your body predictably works to heal a cut on your skin the moment the cut is created, your body is constantly on the alert for trouble spots throughout your body and will always work to repair damaged areas. The difference between your digestive tract and your skin is that you can see your skin and clearly determine if your daily choices are helping or hindering your self healing mechanisms as they work to repair a cut. Put another way, it is easy for you to see that when you keep a cut on your skin clean and protected against abrasive objects, your body can almost always successfully restore it to health. But when it comes to your digestive tract, it is not as easy for you to know how your daily food and lifestyle choices are helping or hindering your body’s attempt to heal damaged areas. If you could see with your eyes how a specific food that you ate over lunch – say a hot dog or a turkey sub – was putting stress on your digestive tract lining and preventing it from making progress in healing, you would certainly be well motivated to avoid such foods. Similarly, it isn't obvious to your eyes how other foods, lack of rest, emotional stress, and other lifestyle factors are affecting the health status of your digestive tract. The good news is that you can learn – from this post and by listening to your body’s signals – how to best support healing of your digestive tract. And once your daily food and lifestyle choices consistently support your body’s ongoing efforts to restore the health of your digestive tract, recovery of your health is well within your reach. When you want a cut on your skin to heal as quickly as possible, you know that you must do the best you can not to disturb that area. Leave it alone and let your healing mechanisms do exactly what they are well designed to do all the time. This same principle applies to healing your digestive tract: leave it alone as much as possible. Do not give it any unnecessary stress. Perhaps the single most important eating habit that you can adopt to facilitate healing of your digestive tract is to chew your foods thoroughly. Ideally, you want to chew your foods until liquid. When you chew well, you allow your digestive tract to efficiently break down small particles of food into micronutrients that can pass through the wall of your small intestine into your blood. Your teeth are designed to mechanically break down food, while the rest of your digestive tract and organs are designed to chemically break down your food. Whenever you do not chew well, your digestive tract and organs take on the burden of trying to accomplish what is much easier for your teeth to accomplish. If you have dental or jaw problems that make it difficult to chew well, consider blending your foods in a blender or a food processor. Chewing your foods and liquids well allows your saliva and digestive enzymes to mix in with your foods and liquids, and begins the process of digestion right in your mouth. Chewing well encourages physical and emotional rest while eating. And being emotionally balanced and at rest while you eat allows your body to send a rich supply of blood to your digestive organs during a meal, which helps to optimize every step of digestion. If possible, strive to combine the habit of chewing well with a steady focus on feelings of gratitude for your food and other blessings. Just as the connection between your mind and body can cause you to sweat when you are nervous, having a feeling of gratitude while you chew your food can help your digestive organs break down your food and assimilate nutrients into your blood. As mentioned previously, a significant cause of autoimmune illness is the formation of antigen-antibody complexes that can float around in your blood and get deposited into your tissues, which can cause inflammation and accompanying discomfort. And a chief cause of formation of such immune complexes is the leakage of incompletely digested protein into your blood. Chewing your food well will certainly help to minimize the amount of undigested protein that can make it into your blood. But to stay optimally well, it is equally important to avoid eating more protein than your body needs. In general, it is best to eat no more than half of your body weight of protein, in grams, per day. This means that if you weigh 150 pounds, you should strive to eat no more than about 75 grams of protein per day. A three-ounce piece of beef, chicken, or fish contains approximately 25 grams of protein. And three ounces of meat equates to a serving size that is about the size of a regular deck of cards. But don’t forget that every food that you eat, including fruits and vegetables, contains protein. So if you eat three ounces of animal-based protein for breakfast, lunch, and dinner, you are almost certainly eating more than 75 grams of protein per day. A cup of broccoli, cooked spinach, or corn contains approximately 5 grams of protein. A cup of peas contains over 8 grams of protein. Even a medium-sized potato contains almost 5 grams of protein. If you eat plenty of vegetables and legumes, it is not difficult to get enough protein to be optimally healthy without eating any animal foods at all. I am not suggesting that you need to be a strict vegan for the long-term to recover from and prevent autoimmune illness. Rather, I am striving to illustrate how easy it is to eat more protein than you need, which is a critical mistake when addressing autoimmune illness. 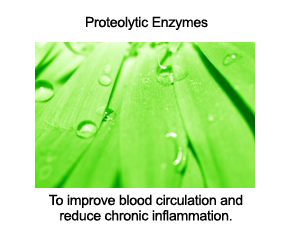 My clinical experiences have led me to believe that animal-based protein, especially when cooked at high temperatures, tends to contribute to antigen-antibody complex formation in people with autoimmune illness more easily than plant-based protein. To best support recovery from autoimmune illness over the long-term, I recommend eating no more than one three-ounce serving of animal-based protein per day, cooked using a low temperature technique, such as steaming or boiling. If possible, I even recommend staying away from all animal-based protein for a period of six months to give your digestive tract complete rest from having to digest animal protein. During such a time, it is best to avoid eating large amounts of protein-dense plant foods as well, such as nuts, seeds, and legumes. So long as you eat plenty of vegetables, especially green ones like broccoli, lettuce, and cabbage, you will get plenty of protein for your daily needs. After six months of avoiding animal protein and going light on protein-dense plant foods, you can gradually increase your protein intake until you are eating approximately one gram of protein per day for every two pounds of your body weight, with no more than one major serving of animal-based protein. The best food groups for preventing and reversing autoimmune illness are vegetables, whole grains, and fruits. Ideally, you want to eat just these food groups (with perhaps very small amounts of legumes) for a period of six months to give your body the rest and nutrients that it needs to best support a full recovery. Eat a fresh salad every day that includes plenty of dark green lettuces and colorful vegetables like tomatoes, carrots, bell peppers, shredded zucchini, and shredded red beets. For concentrated healthy fat intake, add an avocado, as well as a simple salad dressing made out of extra virgin olive oil, lemon juice, sea salt, and a touch of honey if you like a little sweetness to your dressings. Steamed vegetables are also an excellent food group for overcoming autoimmune illness. You can eat a lot more broccoli, kale, Swiss chard, red beets, and other hardy vegetables when they are steamed than you can when they are raw. Steaming such foods can actually help you extract more nutrients out of them. Steaming can also soften the fiber found in these foods, which can be helpful if your digestive tract is sensitive to large amounts of raw fiber. Try eating steamed vegetables with healthy salad dressings or even soups that can serve as nourishing and flavorful sauces. You can make vegetable soups by boiling vegetables and then running them and the water that they are boiled in through a blender or food processor. Eating vegetables in their raw state allows you to benefit from naturally occurring enzymes that are destroyed with cooking. Eating vegetables that are steamed or boiled allows you to eat more of them and extract more nutrients out of them than you can when they are raw. So eating both raw and cooked vegetables positively diversifies your intake of health-promoting nutrients. Freshly pressed vegetable juices provide intact enzymes, and because they are nutrients that have already been extracted from fibrous vegetables, they provide a concentrated batch of nutrients that are readily absorbed into your system and able to nourish your cells. If possible, do your best to include at least one freshly pressed vegetable juice in your diet on a daily basis. And if your life circumstances don't allow for this, consider taking a high quality green food powder. Whole grains like brown rice, millet, quinoa, buckwheat, and oats can provide you with plenty of complex carbohydrates that can take care of the bulk of your daily caloric needs. Whole grains are also rich in B vitamins and a wide variety of minerals. Just be sure to soak whole grains in water for at least a few hours, preferably overnight, before cooking. Doing so makes whole grains easier to digest and also prevents potential problems with mineral absorption. The bran of whole grains contains a substance called phytic acid, which can bind onto calcium, iron, zinc, magnesium, and phosphorous in your digestive tract, preventing them from entering your blood. Soaking whole grains helps to neutralize phytic acid and prevent such binding from occurring in your digestive tract. As is the case with salads and steamed vegetables, adding healthy dressings and sauces to whole grains can make them an enjoyable staple in your diet. Fruits are also a good choice for autoimmune illness, but you have to be careful about not eating more fruits than vegetables. While certain fruits like berries, grapes, pomegranates, watermelon, and mangos are concentrated in health-promoting antioxidants, most fruits have a lot more carbohydrates and naturally occurring sugar (fructose) than they do antioxidants. Actually, the majority of health-promoting nutrients found in fruits are in their skins and seeds. So when eating fruits, choose varieties that are rich in color and, whenever possible, try to eat their skins and seeds. Excellent choices include blueberries, blackberries, raspberries, strawberries, pomegranates, mangos, papayas, apples, watermelon, and cantaloupe. Keep in mind that it is always better to eat fresh fruits rather than dried fruits. Dried fruits are heavily concentrated in natural sugars that can put stress on your blood sugar-regulating mechanisms, which can increase your risk of suffering from diabetes and other forms of cardiovascular disease. Do not overlook the importance of getting adequate physical rest as you seek to recover from autoimmune illness. Simply put, the more you rest, the more energy your body can devote to repairing damaged areas, including your digestive tract. What’s most important is to get deep, restful sleep each night. It is during deep, restful sleep that your body produces large quantities of hormones that are directly or indirectly responsible for facilitating healing and growth of your tissues. These hormones are growth hormone, testosterone, and erythropoietin. Your body produces these hormones in small quantities while you are awake and active, but in order to produce them in optimal quantities for healing moderate to severe degrees of autoimmune illness, you need deep, restful sleep on a regular basis. Ensuring adequate vitamin D status is extremely important to treating and preventing autoimmune illness. And the safest way to ensure adequate vitamin D status is to regularly expose your skin to sunlight without getting burned. UV-B rays in sunlight can convert cholesterol that is found in your skin to natural vitamin D. Amazingly, once you produce enough vitamin D through this mechanism, your body will not manufacture additional vitamin D until you need more, even with continued exposure to sunlight. This natural "stop" mechanism is important because you do not want to have more vitamin D than your body needs on a moment-to-moment basis; vitamin D is fat-soluble, and can therefore be stored to levels that are toxic to your body. When sunlight is not regularly available, as is the case in the northern hemisphere throughout the late fall, winter, and early spring months, it is important to ensure adequate vitamin D intake through foods that are naturally rich in vitamin D.
Although some commercially available foods like pasteurized dairy and some cereals are fortified with synthetic vitamin D, it is best to eat foods that are naturally abundant in vitamin D. Foods that are naturally rich in vitamin D include wild salmon, sardines, cod liver oil, and organic egg yolks. Have you ever experienced a frightful dream that was so real that you woke up with a pounding heart or a coat of sweat on your skin? Have you ever experienced a gush of saliva in your mouth while thinking about eating something tart like a fresh lemon? These and other everyday experiences are proof that your thoughts and emotions can create real physical change throughout your body. Every single thought and emotion that you experience triggers countless chemical reactions throughout your body via your nervous and endocrine systems. In recognizing how powerful your mind-body connection is, you can harness its power as you seek to recover from and prevent autoimmune illness. Every time you strongly believe that you will experience a full recovery, your body moves towards that reality. Every time you start feeling sorry for yourself and believe that you will never be free of autoimmune illness, your illness becomes more deeply rooted in your physiology. Harnessing your mind-body connection to facilitate a full recovery goes way beyond repeating affirmations to yourself, telling yourself that you believe you will be well. Affirmations are important and useful, but they must come from a place of genuine strength and conviction. Using your thoughts and emotions to be well must begin with a careful evaluation of your core life values, beliefs, and desires. I enjoy reading your newsletters. I am vegetarian and love your healthy Korean recipes. I have heard that buckwheat ("Whole grains like brown rice, millet, quinoa, buckwheat") is not a grain and that it is from a fruit/vegetable, is that correct? Thanks. This is just a technicality. This is just a technicality. Remember, scientifically speaking, a tomato is a fruit too. Yes that is correct, buckwheat ia actually a berry, so the name is decieving. It is high in rutin so great for your cardiovascular and eye health. Thank you for taking the time to put together a well though out article to help others. I was happy to see that you finished your article with the "Why" you want to be well. Since you allow people to comment i thought of the following which may be of interest for your readers. Its no secret that human behavior is one of the hardest things to change especially when it is deep seeded. Many people lack the necessary tools. If possible it might be of benefit to others if they Knew how to acquire these tools to implement the education you teach. How about things like drinking water, not drinking fluids with meals, if your thirsty when eating it means that your body is dehydrated. How about proper food combination, trying to rid toxins through the biggest organ (the skin) through baths - epsom salt baths with baking soda, vinegar. Drinking warm water with apple cider vinegar or lemon juice in the mornings, if you eat deserts or sweets is better to eat at the beginning of a meal instead of the end. I don't know if this is within the scope of your essay but thought it might be of interest to readers if they could obtain as much information in your newsletter as possible, maybe a separate section where readers can put in health tips etc for other readers. Thank you for your informative articles about the origins of autoimmune illnesses, which are rampant today. I appreciate your balanced approach in all your writing. Are you familiar with Dr. Natasha Campbell-McBride's work on solving the riddle of autism, ADD/ADHD,etc? All these and many other illnesses are related to gut dysbiosis (imbalance of good and bad bacteria in the intestines). Her book is based on many, many research papers found in the medical literature. She explains the mechanism of leaky gut in her book Gut and Psychology Syndrome. According to the research, leaky gut is caused directly when the bad bacteria, such as candida albicans, claustridia and others, overgrow in the gut. Most of us know antibiotics cause this overgrowth, but many other chemical insults to our systems cause it as well, among them birth control pills, chlorine and fluoride in drinking water, and many others. The baby acquires its bacteria from its mother on its ride through the birth canal, so if her bacteria is imbalanced, the child's will be, too. The villi in the small intestine, those finger-like projections designed to complete digestion and absorption of food, become damaged by this overgrowth of bad bacteria, making them unable to complete the digestion of sugar and starch. The way to heal the gut is to eliminate all sugar and starchy foods from the diet, along with all dairy, at least for the initial period of a few weeks. The diet she found that works, with a little tweaking, is the Specific Carbohydrate Diet, as outlined in another book, Breaking the Vicious Cycle, by Elaine Gottschall. Campbell-McBride also adds a very few supplements because these patients are so nutrient-depleted. The original diet was designed by two doctors in the 1940s specifically to resolve IBS, Chrone's, and other gut problems. It was later found to resolve many brain function problems as well. This makes sense because the gut is filled with both neurons and much of the immune system, both of which affect brain function. Interestingly, while those afflicted with gut dysbiosis cannot break down starches and sugars, the digestion of honey doesn't require the final stage of digestion those other foods require. Thus, most such people can use honey in their diets without consequence. There are many recipes in both books, including many bread products made from nut flours instead of starchy grains. Amazingly, these can be quite bread-like and delicious. I hope you and your readers will find this information useful, and will read the books mentioned above, which explain the process very clearly. Thanks again for the good work you do. Just wondering how Dr. Kim has responded to Dr.Natasha Campbell McBrides research? I also have her book and have been reading articles to get an answer to healing the "gut". Dr.Kim and Dr.Campbell McBride have two similar yet different approaches. I am confused on how to make my family healthy. Dr. C.M says lots of protein and natural fats. Dr.K says less fruits and no dried fruit. Dr.C.M says yes to dried fruit. Dr.K says yes to whole grains and carbs. Dr.C.M says a big no to any grains or carbs. I believe it starts in the gut, but what is the right answer??? I have two sons. One has type one diabetes and one carries 4 out of 5 autoantibodies. This puts him in a 60-100% guarantee of getting type one diabetes. If it can be prevented or slowed down by detoxing or eating properly, it would be good to know. Hi. I suggest you read Elaine Cantin's book The Cantin Ketogenic Diet for information on diet for Type 1 diabetes. She has excellent research on why a ketogenic diet can benefit many degenerative diseases including Type 1 diabetes and Cancer. The Ketogenic diet is high protein and fat and ultra low carb and has been used to reverse Type 1 diabetes, cancer and epilepsy in children. The diet is well researched and easy to follow. My feeling is that the science behind paleo type diets - ie grain free diets based mainly on meat and fat with a minimum of carbs is ideal for Western people. Oriental people actually have a larger pancreas than Westerners and can cope with more carb in their diet. Also search out a paper by the Indian Medical Association called Choice of Cooking Oils - Myths & Realities - which details the link between the switch to vegetable oils for cooking, instead of the traditional oils for the Indian subcontinent of coconut oil and mustard seed oil, and the massive increase in diabetes in the Indian people. Despite being published in 1998 this information still has not been widely disseminated. Hi, in regard to the question on conflicting information that many natural doctors give for an autoimmune diet, the answer is bio individuality. While one diet may work for one person, it may not work for another. I am a recent graduate of integrative nutrition and am familiar with d. Natasha Campbell Mc.Bride and while I support her concept, there were certain things I could not tolerate when I was healing from Lupus (SLE) that she included in her diet. Nutrition is like fashion, it is ever changing with many different opinions but that is why it is important to first do an elimination diet, thereafter adding one food group at a time to see what your body is responding from. Dear Dr. Kim, thanks again for writing on the topic of autoimmune diseases. Looking forward to part 3. I would love to hear your thoughts on this. Thanks! Me too! I am interested in getting ldn! Drs need to get knowledged on it and start prescribing it!!! I'm glad that you mentioned about the affect of emotional stress as a part of the root cause of Autoimmune diseases. As I've been learning from my clinical experience at the teaching clinic, I find it often coming down to the deep emotional issue as the patient stays in the long journey to heal - after or even before taking care of immediate physical symptoms. Thanks for your effort in educating many of us, always. Cod liver oil contains considerably more vitamin A than vitamin D, and they both compete for absorption using the same metabolic pathway, which is why Dr. John Cannell, of http://vitaminDcouncil.org and Dr. Joseph Mercola, at http://www.mercola.com (which is the most visited natural health website in the world) no longer recommend it. In order to obtain sufficient vitamin D, and excessive amount of vitamin A would have to be consumed. I only use it once weekly, and leave some few hours before taking vitamin D3 supplements, in the winter months. I submit that whole grains and dairy products are probably far more likely to cause leaky-gut and autoimune disease than are animal proteans due to the lectins contained in the grain and lactate in the dairy. See Robb Wolf's The Paleo Solution for details. I think it may depend on which whole grains and which dairy products. Examples: Barley for example is good, but wheat bad. Feta and goats cheese products are gentler on the system and easier for the body to digest than cows milk cheeses. Differrent grains do digest differently, and it is important to remember that although soaking whole grains neutralizes the phytic acid they still digest as starches. Whereas sprouted whole grains are converted into simple sugars or plants and plants digest as vegetables in the body which are easier to digest. New on the radar - Essential Eating Sprouted Flours, Pastas and Cereals have one ingredient - authentic sprouted whole grain flour. These 100% whole grain products make it easier to eat and digest whole grains and absorb the nutrients without causing dis-ease. Please read "The China Study" by Dr. T. Collin Campbell before getting into paleo. Read then make a choice about animal protein. It's highly scientific yet a breeze to read, it's extensive and unbiased. I recommend this to anyone, sick or not. It's a must if you' re after true health. Plus there is a large section about auto immune disease that is very parralel to Dr. Kim's explanations and advice. Denise Minger has several interesting and very educational posts on the China Study. Due to her writing and due to my personal experience, I will keep eating meat. But humans can thrive on a variety of foods so do what works best for you! One could hardly call myopic trash like the "China Study" and "Forks over Knives" scientific or unbiased. I am always amazed at how useful and understandable your information is written. This article does somewhat apply to me so I intend to try to prevent my joint pain and clean my digestive trac. Thank you for all your articles. You are great. Thanks for the info. You mention that "incompletely digested protein ends up in the blood" .... would that eventually show up as proteinuria? I have psoriasis (I guess) and I noticed that there is always protein in my urine yet I am not a big protein eater. Also, is there any rhyme or reason for the location of psoriasis? I am blessed with scaly skin around my nose holes .. now that is a medical term. :) Thanks for your time. I found this information incredibly insightful and it ties in with the theories I've had while suffering with Psoriatic Arthritis and Collagenous Colitis. It seems I still need to make a few more adjustments to my diet, however the changes I have already made have given me a substantial improvement in my health. This article (and all the others) is so wonderful. Thank you so much for these insightful and helpful facts and what we can do to help ourselves heal. I have a few autoimmune disorders, thyroid stuff, vitiligo and lately had come to have aches in my joints. I was advised by a friend to go on a gluten free diet and I now realize I may even need to give up milk and milk products because of the protein casein. My aches have dissappeared almost instantly when going gluten free. So far lots of improvement in my digestion and I feel much better now that I am not eating wheat. I hope to at least stop my vitiligo from advancing but it would be nice to re-pigment. Anyways, thank you. Although vitiligo is more 'cosmetic' it's still my body trying to tell me something and that I need to change but most importantly I cannot ignore these warning signs as I have a child and need to stay healthy for more than just myself! Thank you for helping me understand further how to take my health back! About 4 months ago I had Vitiligo. I was very surprised as this does not exist in our family (both sides). As I dug deeper into my condition and from the researches I did online I realized that it was most probably due to a very emotionally and mentally stressful year I had (2013). So much had happened that my digestive condition was worsened due to my lack of appetite and poor eating habits due to stress. Have you ever helped anyone successfully treat alopecia areata (autoimmune disorder)? This was a very informative article as I have an autoimmune disease. I have had it for 19 years. It is getting better over the years from me changing my eating habits. However, I have never been told by my neurologist or primary Dr. anything such as is in this excellent information Dr. Kim has provided. I gave up pork 19 years ago because it gave me extreme headaches, and they said it caused my polymyositis because I was producing too many enzymes. I gave up beef when watching an anti-meat documentary on how cows were killed. I gave up chicken when fasting and realizing I wasn't in pain, after having been for 17 years, from not eating chicken. I only eat fish now hoping to alleviate that also. I have started juicing, smoothying and eating more vegetables and fruits. From reading this article it looks like I need to eat less fruit and more vegetables. 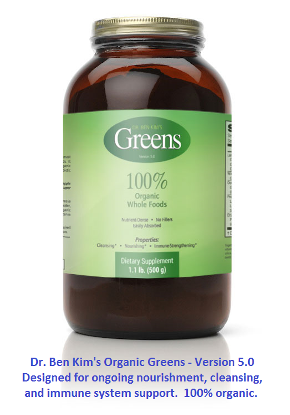 I have incorporated 5 Super Greens, Vegetable based protein for days when I don't juice. My health is getting better each year, but this article will help me to heal even faster. Thanks much for your clear and methodical way of explaining the digestive system and meat based protein and its affect on the body and how to prevent and heal autoimmune disease. This information is extremely informative and helpful. This information will help me as I am trying to determine if I have digestive issues. Certainly it is obvious that I may be sensitive to gluten or may even have celiac disease. As I move forward to determine this information will prove invaluable. This article is just what I needed. I understand leaky gut better after reading this. I am very encouraged to think positive and not give in to the negative thoughts and images that can come so easily. Thank you for writing this helpful article! !